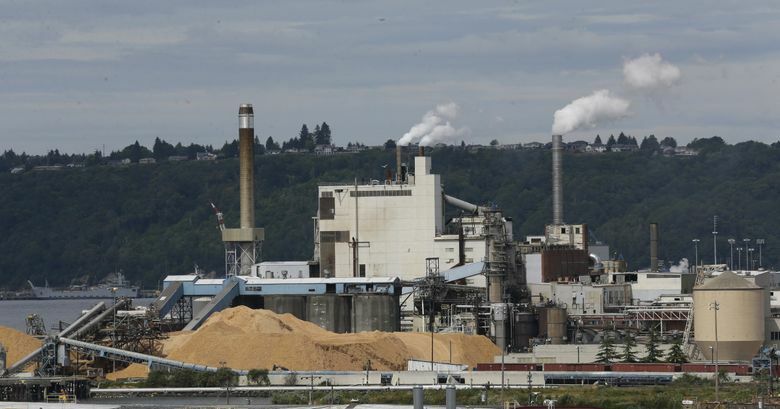 WASHINGTON has a singular opportunity, with approval of Initiative 732, to address the threat of climate change and alter the ineffectual course of national climate policies. As if that isn’t enough, Washington voters also would be sending a broader message to our nation’s capital: The public demands an alternative to putrid politics-as-usual and is taking action. Such strong assertions, I realize, require a persuasive explanation. First, I note that I know something about climate change and the difficulty of achieving positive change in political systems dominated by special interests. I was the director of NASA’s Goddard Institute for Space Studies for more than three decades and testified to Congress many times about the threat of climate change. I have talked with government officials about actions needed to address climate change in more than a dozen countries and a dozen states in the United States. 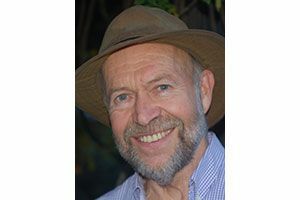 James Hansen, formerly director of the NASA Goddard Institute for Space Studies, is an adjunct professor at Columbia University’s Earth Institute, where he directs a program in climate science, awareness and solutions. Little has been done to preserve a viable climate system. Global fossil-fuel emissions and global warming are increasing. Climate extremes are becoming more intense: heat waves, droughts and fires on one hand, and more extreme rainfall, floods and storms on the other. However, the greatest threat is to young people who may inherit a climate system running out of their control, with deleterious effects including large sea-level rise and loss of coastal cities. This is tragic, because these dangers can be avoided. If we make the price of fossil fuels honest, by including their costs to society, we can move rapidly to clean energies. Costs of air pollution, water pollution and climate change tip the balance to clean energy, even ignoring the great cost, in treasure and lives, of protecting the global supply lines of fossil fuels. The most efficient way to phase out fossil fuels is a steadily rising carbon fee collected from fossil-fuel companies and distributed uniformly to the public. The public should support this “carbon fee and dividend.” Wealthy people will pay more in increased prices than they receive in the dividend. However, economic studies show that carbon fee-and-dividend spurs the economy, increases the gross national product, creates millions of jobs and rapidly reduces fossil-fuel use. Most people would come out ahead. So why did nations from Australia to Europe and states such as California adopt an ineffectual and bureaucratic cap-and-trade system? In a word: politics. Seven years ago, then-U.S. Sen. John Kerry admitted to me that a fee-and-dividend policy was a better approach. But in words that still ring in my ears, he said, “I can’t get one vote for that.” Instead, liberals pushed for Waxman/Markey cap and trade, with votes bought and paid for by giveaways to special interests, the bill stretching to more than 2,000 pages. Conservatives — and I, in congressional testimony — brand cap and trade as “cap and tax,” because it raises the price of energy for the public with the money used to grow government. Australians dumped the government that adopted cap and trade and rescinded the bill. California’s bureaucratic program, after 10 years, has had a vanishing effect on emissions — worse than the average of the other 49 states. I-732 has not been compromised by special interests. Instead of giving the funds collected from fossil-fuel companies to the public, it would reduce the sales tax 15 percent — from 6.5 percent to 5.5 percent — and funds a Working Families Tax Credit for low-income families. Energy prices would rise, but the measure would induce investments in clean energy, giving Washington a head start in technology competition. I-732 is the product of a lean group of committed people who gathered 350,000 signatures, even in the absence of support from certain “Big Green” environmental groups that remain eager to work with special interests that benefit from cap-and-trade and tax-and-spend schemes. For the sake of government transparency, and to provide an example for other states and the rest of the world, but most of all for young people, future generations and nature, vote “yes” on I-732.